If you have been following, that story will continue [even if you have not been following, it will continue]. 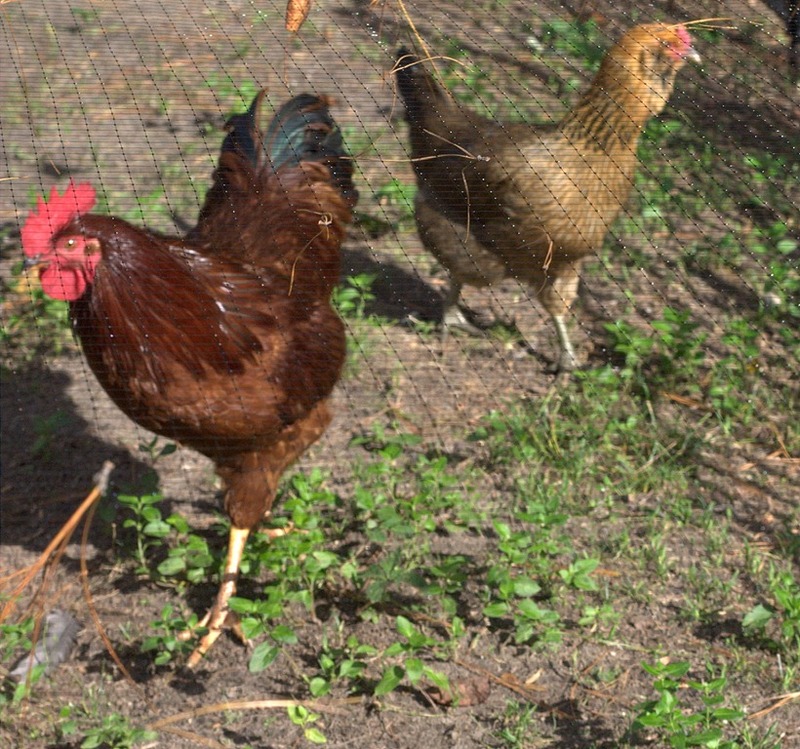 Lucy [once thought to be a pullet] my alpha rooster was first to show interest in Goldie. She once avoided him, with loud squawks and then seemed to mellow, accepting all of Lucy’s affections. You see them together most of the time and she spurns the approaches of Pete & Junior [my other 2 roos]. A few days ago, I asked for your comments on which rooster to rehome. I think all are sentimental [like me] and see Lucy being kept, especially given his attention to Goldie as she laid the first of the flock’s 2 eggs. So it is—Lucy stays and Pete goes. How quickly things change. Pete is to depart us tomorrow. The question will then be, how long can Junior be here? I love the feathering of the Golden Laced Wyandotte. The roos get along [so far]. I am concerned with the possibility of over-mating. Evenings are especially hard on the chicks—even after entering the coop. Lights out seems to reduce their quest.